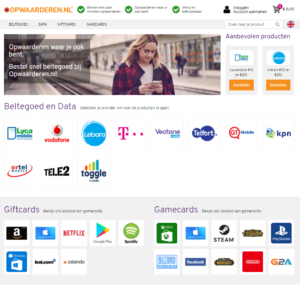 Opwaarderen.nl is the leading website in The Netherlands that allows customers to top up prepaid balance and buy digital goods anywhere and anytime. Because people are always on the move we introduced our Opwaarderen app, which makes it even easier and faster to buy a prepaid top up, giftcard or gamecard. 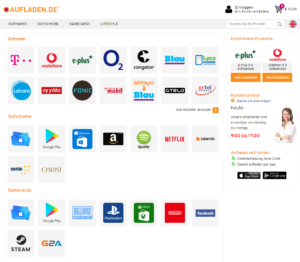 In Germany we are powering Aufladen.de, the number 1 digital goods store. A reload website, that offers a wide range of prepaid top up, giftcards & gamecard products. With some providers such as Telekom, Vodafone and E-Plus we offer both prepaid top up codes as well as direct topup. Our Aufladen app makes it possible to serve the German customer even better. They are able to purchase their product in less than a minute! 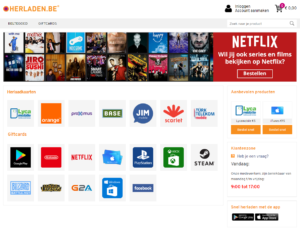 Herladen.be is one of the leading online platforms to buy prepaid topups, games, music or giftcards. Ideal for people who are always on the move or simply don’t want to walk to a local supermarket to buy their prepaid balance. With our responsive top up website it’s easy, fast and ofcourse a safe way to get what you want. 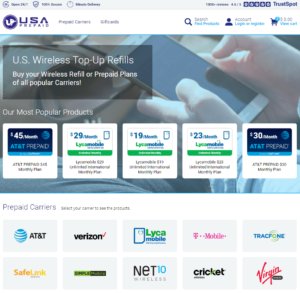 USA Prepaid offers our American customers a great selection of Pay-As-You-Go plans, Monthly plans & Add-ons from well-known providers such as AT&T, T-Mobile & Verizon Wireless. With our shopping process customers are able to top up their prepaid balance at once!